The New King of Late Nite TV, "Conan O'Brien" from TBCStars! 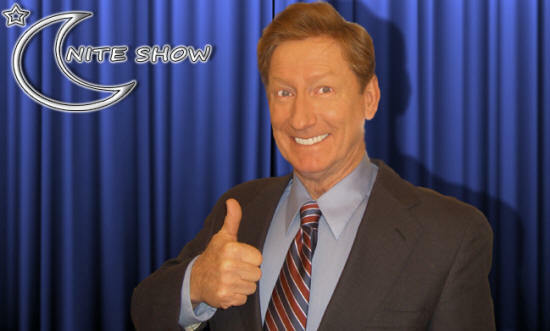 With the legacy of The Tonight Show now passing from Jay Leno into the ingenious and zany hands of Conan O'Brien, Tim Beasley is very happy to use his immediate natural likeness to Conan to produce a hilarious copy of Conan's role as host. From this comedy clone's zany opening monologue, complete , with Tim's equally zany and topical original quips written just for your audience or guests, to the wild and crazy skits, it's an amazing thing just how much they actually share physically and mentally. Have some special guests in your audience? Let Tim as "Conan" interview them ala The Tonight Show from his desk and have some interactive hi-jinks to make it a delightful evening - and are you ready for this? He can also become his very own "Special Musical Guest" by quick-changing into any of his "Rock Superstars" of your choice. Both Tim and Conan are tall and lanky with a wild shock of red hair and freckled tan complexion, with those Irish blue eyes to boot. That's quite a unique and scarce combination in itself, but add Tim's uncanny ability to mimic Conan's very individual mannerisms and goofy characters from his "Conan Caveman" to his "Ferret-faced Freak," to his lighting fast wit and funny bones mentality, with just the right amount of Bostonian twang, and you've got a twin-spin look alike ready to have fun with any audience! As an avid fan of late-night TV since a young teenager in the 1960's, , Tim actually credits The Tonight Show with Johnny Carson as his major influence in becoming a variety celebrity impersonator comic entertainer. 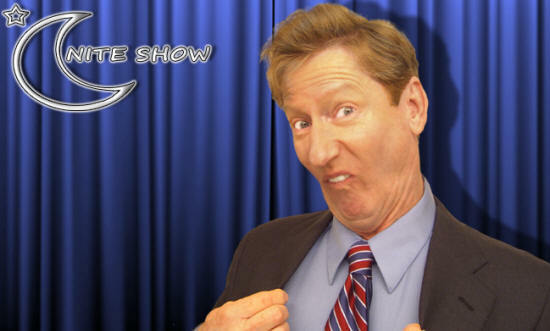 Tim has performed as the emcee-comedian-performer for years for a galaxy of special events and shows, and brings that stage savvy and delivers that laughing machine gun of comedy to every show. 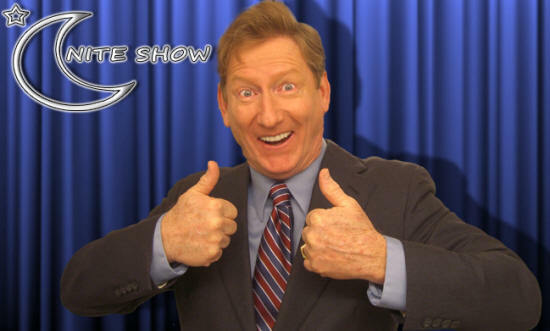 Make it a great time with Tim as "Conan O'Brien" for your very own "Tonight Show!"